SEOUL, South Korea — As she pursued her dream of becoming a fashion model, veering for years between extreme dieting and overeating, Park I Seul realized she had a problem: She was not tall and skinny, like typical runway models, nor was she big enough to be a plus-size model. 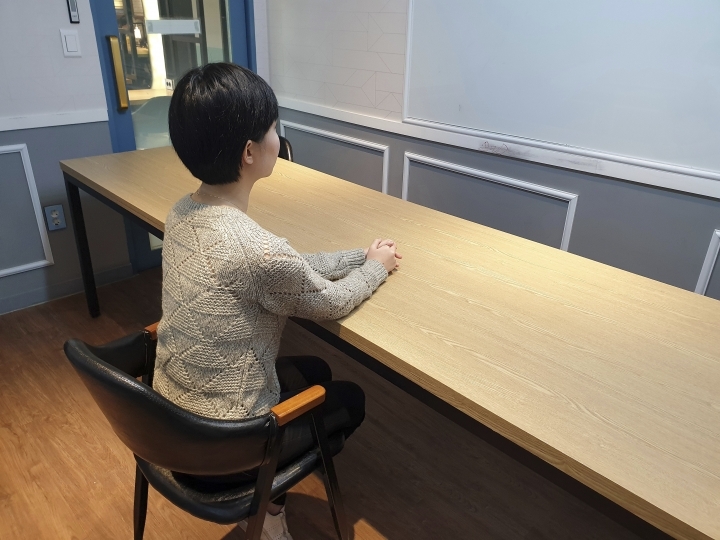 She also realized that the only way to meet South Korea's lofty beauty standards was for her to continuously deny who she truly is. So Park, 25, began calling herself a "natural size model" — a nearly unheard of term in South Korea — which she defines as someone with the same kind of body you see in daily life, as opposed to a difficult-to-attain ideal. She began to get work, and she started a popular YouTube channel where she introduces fashions for women who look more like her than like the women in fashion magazines. Hundreds of young women have taken to social media with the hashtag "talcorset," or take off the corset, to encourage others to free themselves from social stereotypes about their appearance that they feel have long bound them. Park herself is 165 centimeters (5 feet 5 inches) tall and weighs 62 kilograms (137 pounds), which she says puts her far from the minimum 170 centimeters (5 feet 7 inches) and 40 to 48 kilograms (88 to 106 pounds) weight that conventional fashion models have; she's also nowhere near the XL and above sizes demanded for plus-size models. 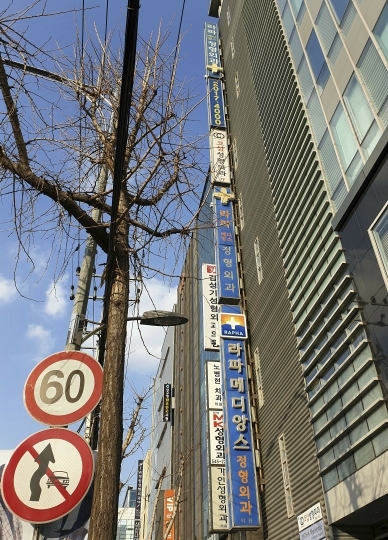 South Korea is a deeply conservative country, and experts say its patriarchal society encourages rampant sexism. It had the largest gender pay gap among developed countries in 2017, according to the Organization for Economic Co-operation and Development, and ranks 115th out of 149 nations in the World Economic Forum's global index of overall gender parity in 2018, among the lowest-ranking G-20 countries. Consider, for instance, a video by Cha Ji Won, a 24-year-old YouTuber who runs a channel called "Korean Womyn." The video, which has gotten more than 720,000 views, shows her daily routine after she stopped obsessing over her hair and wearing makeup every day and began choosing and wearing comfortable clothes. It now takes her half the time to prepare to go outside as in the past, and she says she eats whatever she wants and doesn't think about calories. "I hoped that by letting other women know that there is someone like me, I could remind them that they don't have to care too much (about how they look) and spend so much money and time on their appearance," Cha said in an interview. 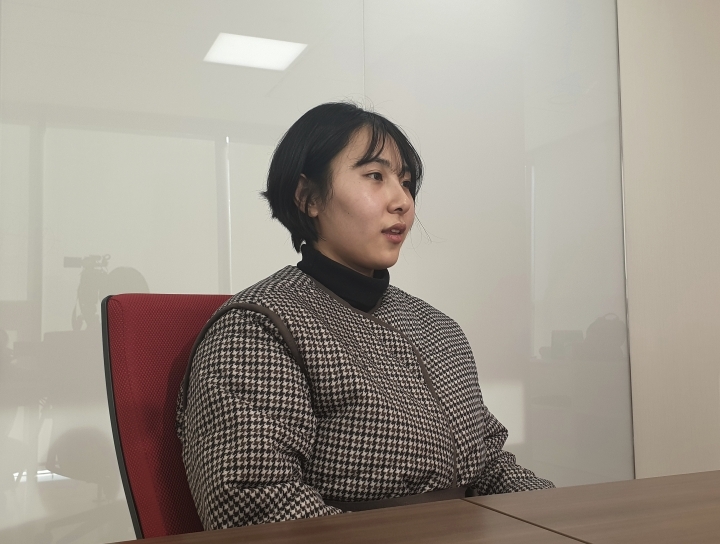 An 18-year-old high school senior who wished to be identified only by her last name, Hong, because of worries about her future studies recently exposed a series of lectures at her all girls' school that promoted a focus on women's appearance as they entered college. The lecture titles included, "Makeup for college freshmen," ''Fashion styling for college freshmen" and "How to make a healthy body figure." "I think (South Korean women) want to look perfect," said Park Jiehyun, feature?s director at Cosmopolitan Korea, a popular fashion magazine. "They believe they should have a nice body and skin, beautiful eyes, nose and mouth, and even sleek hair with a perfect hairline. They also want to have good style." 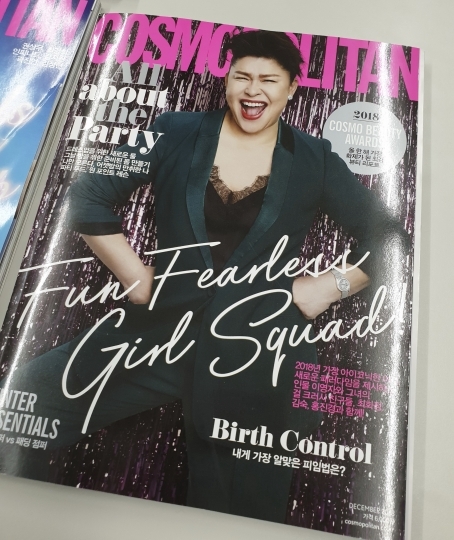 In its December issue, Cosmopolitan Korea featured a popular South Korean comedian, Lee Young-ja, as the cover model. Lee is larger than the typical skinny cover models the magazine uses. 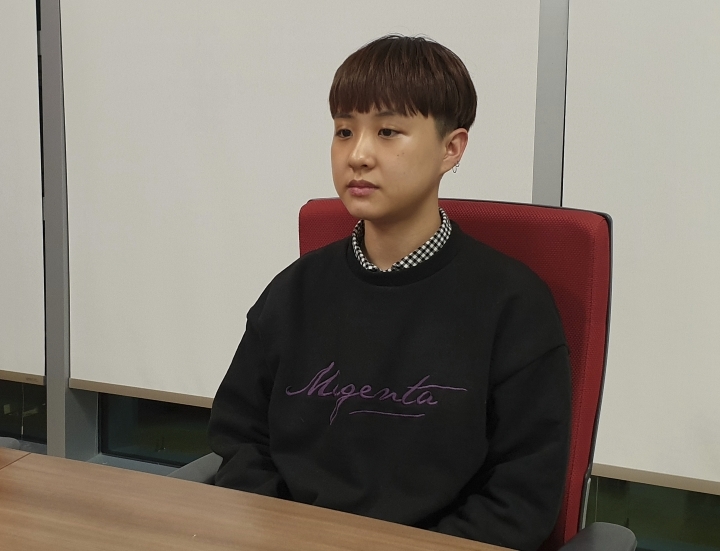 Choi Min Jeong, a former employee at a beverage company, still remembers her boss telling her that she had to work harder because she wasn't as beautiful as a popular South Korean actress. 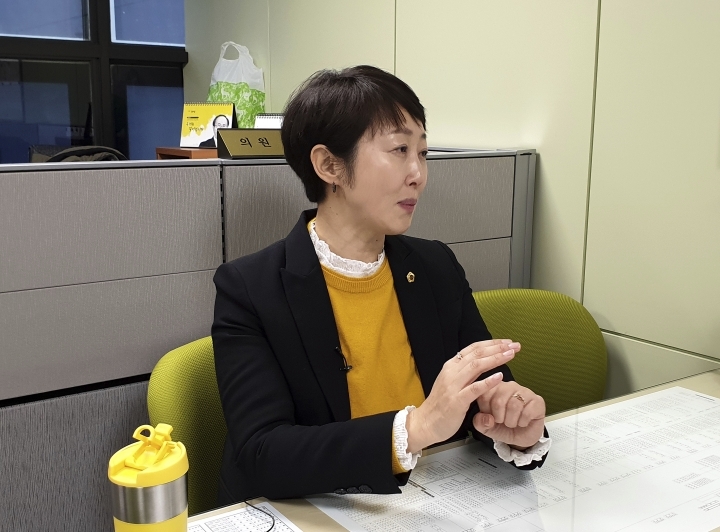 Airline companies often demand a stricter dress code for female flight attendants, according to Kwon Su Jeong, a Seoul councilwoman who has worked for Asiana, a major South Korean airline, for 24 years. Kwon is currently on a leave of absence to work in the city council. "They control everything, from your hairstyle to the color of your lipstick and nails to the length and shape of your earrings," Kwon said.